Interior: Maintains a muted profile. May or may not feature roll cage and rally spec seats and steering wheel. 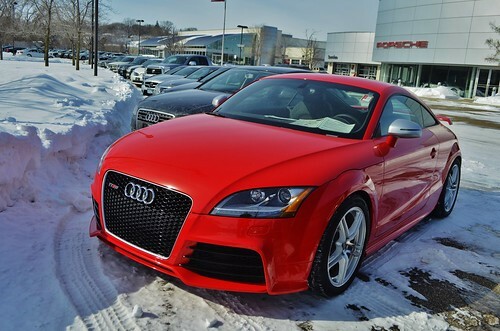 Performance: Turbocharged engine, features Obey's legendary four wheel drive system. Great off-road; perfect for races. Design: 1971 Ford Custom 500 with matte black paint. Tires, chrome and license plates blacked out. Interior: Low profile black. Strong stench of distilled liquor. Do not attempt to spark up a cigarette. 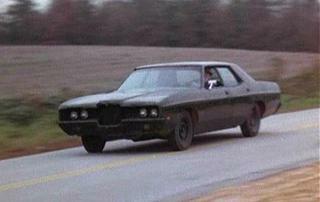 Performance: Heavy and durable 'shine mule with a heavily tuned Vapid 429ci engine under the hood. Comes with a fully upgraded Lozspeed four-speed transmission as standard. 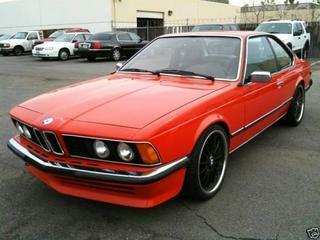 Design: BMW M635CSI. Intimidating front end to look like the smile of a shark. Interior: Smooth cream leather. Luxury dashboard equipment. Performance: European grand tourer with reliable STD tuning and smooth shifting gears. Similar speeds to the XS version of it's successor, the Zion. Plentiful upgrade options. Interior: A crappy dark gray interior that is completely uninspiring. Performance: A slow acceleration speed, lots of understeer for the handling, yet quite fast and sporty. Can be purchased in Legendary Motorsport for $95,500. Design: 2 door coupe. 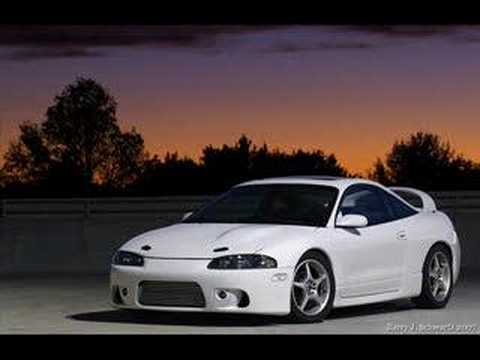 Based heavily on the second generation Mitsubishi Eclipse. Has "Astro" written on the back where Eclipse would be written on the real car. Can come both with and without a spoiler. Can also come in a convertible version. Interior: Cramped rear seats. comfortable front seats. 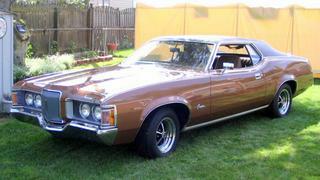 Design: 1971 Mercury Cougar. 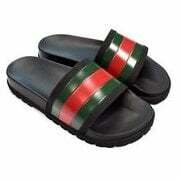 Available with go-faster stripes, soft top. Interior: Leather. Fold down seats for blast off. Performance: Lighter than it's earlier counterparts, the Hellenbach is overpowered with an excessively high performing Equilizer V8 from the era when sheer horsepower sold numbers and gas crisis were unknown. Design: based on 1986 Oldsmobile Toronado. Front fascia comes from 1992 Toronado, but frontlights comes from 10th generation of Cadillac Eldorado. Rear fascia remidns Nissan 240SX (S13). Interior: like exterior design, based on '86 Toronado. Performance: similar to Uranus' performance. Design : Heavily based on Lamborghini Veneno, Rear, Spoiler and Carbon Diffuser based on Pagani Zonda R.
Interior : Based on Infernus interior, but with a roll cage, and Dashboard Gauges. Performance Stats : On par with actual Hypercars like Enity XF, Cheetah, Adder. Design : Heavily based on Mercedes CLK-GTR , Side and rear spolier based on Mclaren F1 GTR Longtail. Interior : Based on Schwartzer interior, with a roll cage, 1 Racing seat and Racing steering wheel with Benefactor logo. Performance Stats : On par with actual Supercars like Comet, Carbonizzare, Banshee, Elegy RH8. 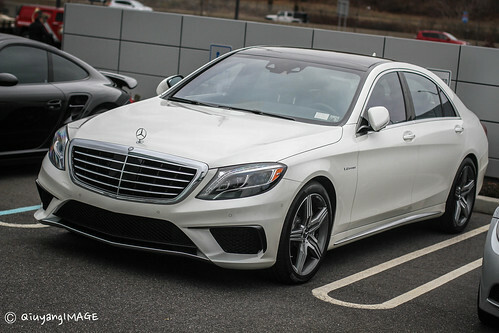 Design: W222 S63 AMG/E63 S AMG w/ full LED lighting, a large sunroof, daytime running strips under the main headlights, and a grill similar to the Schwartzer's but curvier and with a badge. The front fascia mostly resembling a curvier E63 S AMG whilst the side and rear are mostly S63 AMG. Variants: A basic one with matte aluminium parts and a large sunroof and then one badged with an S next to Bähner. The S comes with the same carbon fiber bits as the Feltzer S and without a large sunroof. Interior: The same as the Stütt but white w/ slightly visible carbon fiber trim. Performance: Like a IV and concept Feltzer but a little bit heavier and somehow a little faster. The S model comes slightly quicker with more torque. 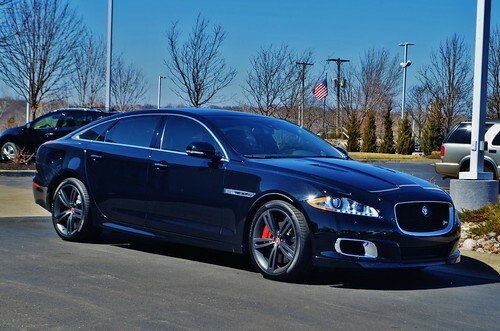 Design: Jaguar XJL Ultimate/Jaguar XF Supercharged w/ a hybrid XF and XJ rear fascia, a mostly XJ side profile, and a front fascia similar to an XF. Interior: Like the Oracle xL but black. Performance: Almost as sporty and light feeling as a Bähner but slightly tougher to corner due to length. As sporty sounding as a Bähner but higher revving. 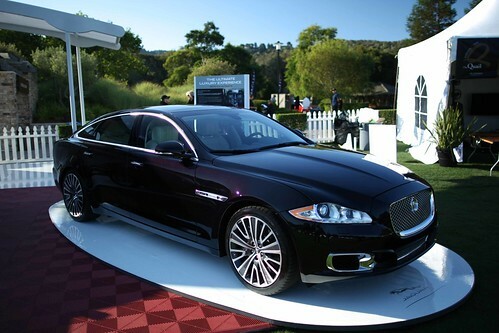 Design: Jaguar XJLR/Jaguar XFR w/ a hybrid XFR and XJLR rear fascia, a mostly XJLR side profile, and a front fascia similar to an XFR. Interior: Same as above but partially red. Performance: Very similar to the above but faster, more prone to sliding, and has an even sportier-louder exhaust note. Classic Mini with fog lights and alloys as modifications. Stripes by default. Apart from using the Weeny badge I'm not sure how they could use other parts to make it a GTA car not a real car. Still, if the VW Beetle and Camper Van get a GTA version, so should this. Design: 2nd Gen. Chrysler 300 SRT-8/2nd Gen. Chrysler 200 w/ a 300 side profile, and 200 rear and front fascias with full LED headlights with daytime running strips. Interior: Same as the PMP-600. 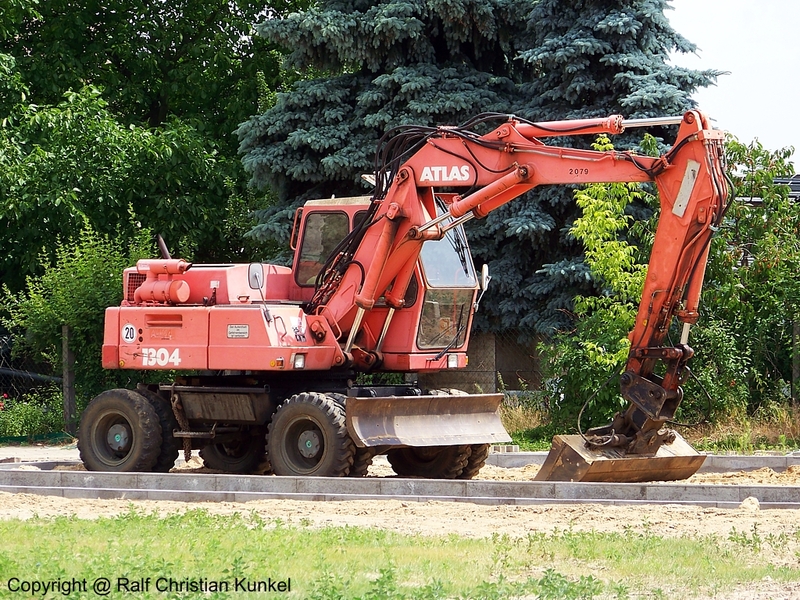 Performance: Slightly stiffer than the PMP-600 but handles the same. The major difference is that it is actually quicker. Design: Porsche 991 Turbo S w/ only a few last Gen. Comet resemblances. Longer than the last Comet and comes with everything that the Turbo S adds extra to the 991. Full LED's are included and run 24/7. Interior: Same as the V Comet. Performance: Quicker than the IV Comet, grippier, fast, and is more accurate to steer. Not very prone to drifts unless forced, it is AWD. Design: Same body as the Comet RS but with a targa top and a lack of the Turbo S influenced extras. 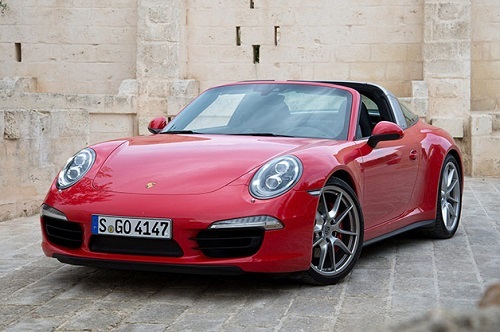 Very similar to the Porsche 991 Targa. Interior: Same as the V Comet but grey. Performance: Similar to the concept Comet RS but not as fast. A little more grand touring focused. 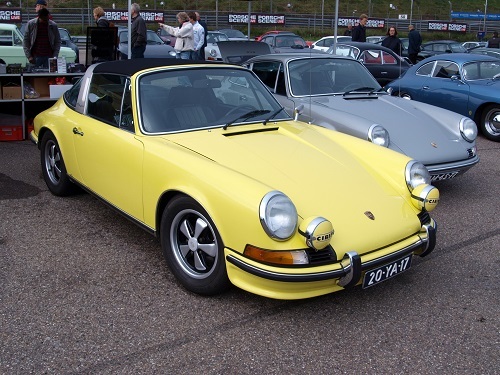 Design: Porsche 911 Carrera Targa w/ a lot of resemblance to the Vice City Comet. Interior: A brand new, saddle colored interior similar to the IV Comet's but much more bare bones. Performance: Comparable to the IV Comet but a lot slower with a more sluggish transmission. The steering is more challenging and the car rolls a little more. Design: 575 Maranello/550 Maranello w/ a typical Rockstar twist similar to Turismo. Interior: Same as IV Turismo's but more saddle colored. Performace: A little bit faster than a IV Turismo, but only slightly easier to drift around corners. Still manages to have accurate steering. A high revving exhaust w/ a somewhat fast shifting transmission. 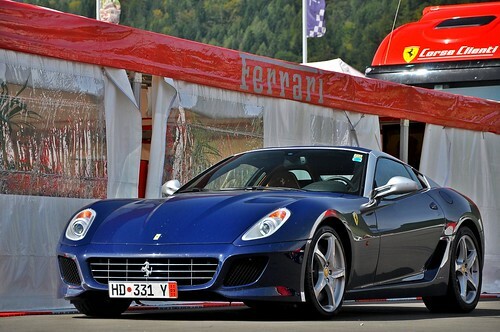 Design: 599 SA Aperta/612 Scaglietti w/ typical Rockstar twist similar to Turismo. Interior: Same as the IV Turismo's but red and with two air vents above the center console as opposed to three. Performance: Comparable to the Grandé but improved, faster, and drifts less often. The tranmission is much quicker and the engine revvs higher than the Grandé. Design: 2 door, mini SUV. Interior: Rollcage, confortable seats, room for 2 people on the front. 2 extra passangers can climb to the back. Performance: Tight turning. Fast acceleration and fast braking. Good off road and rock-climbing performance. Interior: Economy, 2 seats. Usually modified with aftermarket racing seats and custom gauges. Performance: Above average speed, good handling. Design: Italian sportscar, 80s/90s style. Interior: 2 seats, not very confortable. Performance: Same as the GTA3 Infernus. Some rare higher performance versions exist. Manual transmission. If I could like these a thousand times, I would. I love the Weeny Ralli name especially. Schyster PMP 700F, Perseus Edition. 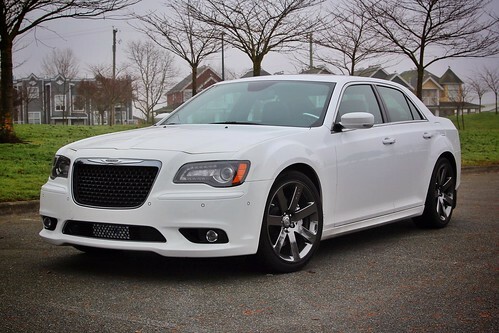 Design: Chrysler 300SRT8 John Varvatos Limited Edition. Base model PMP 700 offered in metallic black color with luxury styling, including 20-inch titanium finished wheels. Smoked windows as standard. Interior: Perseus class elegance bearing the heart and soul of Liberty City. Gold plated dashboard gauges and Perseus patterned leather trim, hand-stitched in a Chinatown sweatshop. Performance: Feels superior to the base model PMP but remotely the same. More economical than the standard spec, but when have we ever been concerned about refuelling? 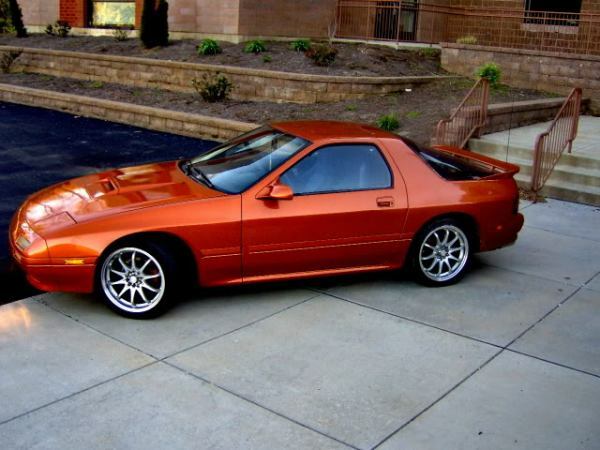 Design: body taken mostly from Buick Roadmaster, with front taken from '92 Eldorado. Interior: Similar to Primo, with cream letter seats and body panels. Performance: Average with boat handling, because who doesn't like to cruise in american luxobarge. Docking near the curb may be harder to due car size. Design: mostly Nissan Silvia S14 (240SX for US people) a bit squarified with front fitted from Silvia S13. Interior: Rather simple dash with fitted additional gauges for turbo and some other things. Sport seats keeping you tight on the curves. Performance: nice sports car, although it's habitat is on curvy mountain roads of Japan. It will dance well, but don't expect it to beat fastest sports car on the straight line. Interior: Similar to Dinka Hakumai with bucket seats. 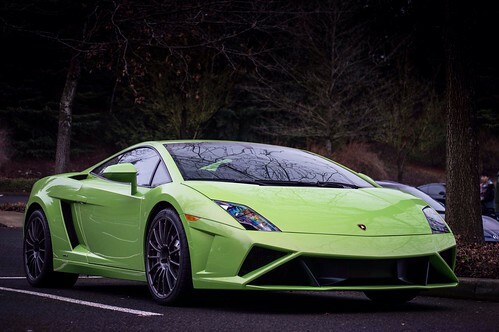 Performance: good sports car that can compete with Sultan or Penumbra. With aftermarket parts it can almost catch the better sports. Design: Based off Aston Martin Cygnet. Adapted from a tiny Japanese car, trying to be something more than it really is. Interior: Tiny, similar to the modern Blista. Performance: Acceptable acceleration, mediocre top speed. Turns well, a bit too much in fact. Design: 5-door hatchback based on the 90s FSO Polonez Caro. A cheap Eastern European car built in Egypt that would be more suited to South American countries. Interior: Economic. No fancy features like air conditioning. Performance: Not very durable, sluggy acceleration and poor top speed. Weak brakes. At least handling is acceptable. Design: Small 2-door SUV based on Mitsubishi Pajero (4th gen). Just for the variety with all the large SUVs cruising around. Interior: Similar to BeeJay XL, but obviously smaller. Performance: It is nimbler than other SUVs due to its smaller size and shorter wheelbase, but as consequence not as tough. Design: A 3-door hatchback based off the late 90s facelifted version of the sixth gen Honda Civic. Has lots of body mods to choose. Interior: Similar to the modern Blista but well, more 90s. Performance: Really good handling, decent top speed and acceleration. Design: This one's pretty simple - a 1950s Ford pickup - a regular variant of the already existing Tow Truck. Available in a clean version, however. Interior: Same as Tow Truck. Performance: Same as Tow Truck, however the clean version performs slightly better. Design: Based off a generic English lorry from the 1950s/60s, filled with spuds. Who doesn't want such vehicle in GTA? Interior: Generic English truck cab. Uniquely, it has its steering wheel on the right side. Performance: As expected from an old truck loaded with potatoes. 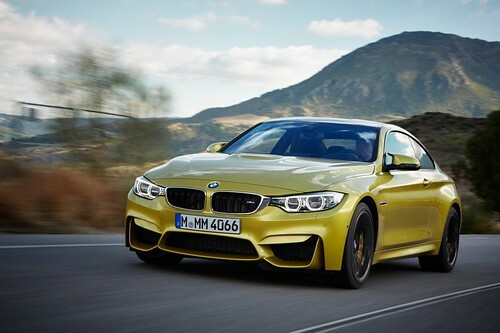 Design: BMW M4/M235i w/ size similar to the V Sentinel XS. Full LED's included. Comes with a carbon fiber roof, mirrors, and rear siffuser. Interior: Updated IV Sentinel interior with a visible pop up display and sport seats. Performance: Similar to the IV Sentinel equipped but with ABS and a much faster shifting transmission. Of course much quicker overall too. Same engine note as the IV Sentinel, but a little louder and higher revving. Design: BMW 335i M-Sport/435i M-Sport Cabriolet. The saloon is like a four-door XS without the sporty touches and the cabriolet is like a convertible XS without the sporty touches. Variants: four-door saloon and two-door convertible. Interior: Same as the XS without sport seats. Performance: Just like the IV Sentinel but with ABS. 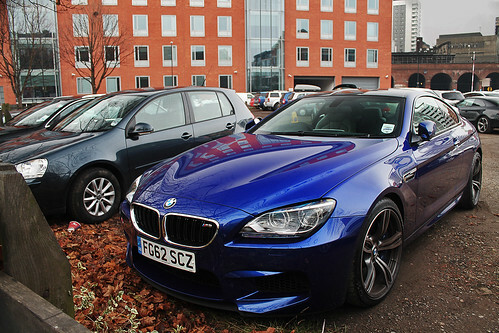 Design: BMW M6 F13/BMW M5. Basically a concept Oracle III in coupe form with more aggressive M6-esque and M5-esque bodywork. Comes with a carbon fiber roof and a carbon fiber rear diffuser. Variants: One comes as a two door coupe and one comes as a two door convertible. Interior: Same as the concept Oracle III. Performance: Similar to the Sentinel XS but tougher and heavier to steer. Its somehow a bit faster in a straight line though. Fast paced grand touring is suitable for this car. No, Stingray, please we already got bullsh*t cars like these in GTA V. Take 2 sentinels, two Zions, two Rapid GTs, two 9Fs and so on, so on. In previous games we could have one car being both hardtop, softtop and convertible, do we really need three different vehicles covering that? I'll just make the Sentinel Saloon and M6 Cabriolet variants of the Sentinel and Zion XS then. I personally like different variants of vehicles though. I like them too, but not when normal cars are left of because of them. Half great looking cars from IV is gone, yet we have two Sentinels or two Zions? Well I will make sure to add normal cars. I plan to add lots of classics and 70's cars too. I was just getting my high-end car ideas out of the way. I too was annoyed by how they just ditched cars like the Faction, Uranus, and Blista Compact. Its silly how V has so many high end cars that you'll see some in the ghetto. 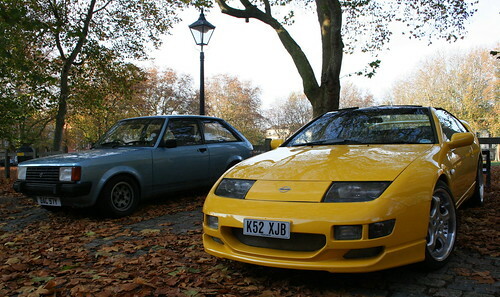 Design: Nissan 300ZX Z32/Z31 w/ a targa top that can come either covered or uncovered. Heavily based off of the San Andreas Euros w/ quite a few adjustments. Interior: Same as the Hakumai but with tan seats and door panels. Performance: Comparable to the IV Ruiner albeit a little quicker. Quite nimble and drifts can come with little ease. Design: Based around a Chevrolet Corvette with a lot of resemblance to the Vice City Banshee. Variants: One with a targa top and one with a fixed top. Interior: Similar to the Comet VC Edition. Performance: A little boaty compared to the IV Coquette, but still nimble and quick to corner. Somewhat fast in a straight line but has slower shifts. Design: Honda Prelude with a lot of Hakumai resemblance as well. Comes with pop out headlights. Performance: Same as Hakumai except a little less hard to make sharp turns. Design: Heavily based off a Mitsubishi Starion with few San Andreas Buffalo resemblance. Comes with pop out headlights. Interior: Same as IV Ruiner. Performance: Similar to the IV Ruiner but less quick and more nimble. Design: Oldsmobile Toronado with resemblance to a few other GM land yachts around it's time. 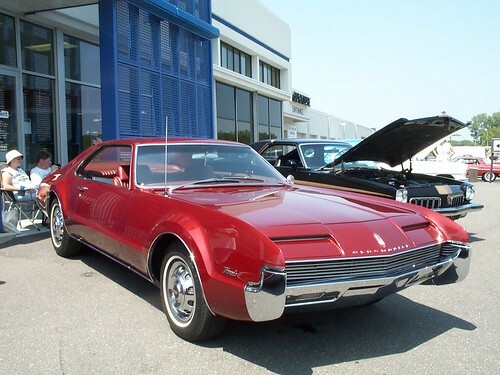 The headlights are the same pop out headlights, but the rear fascia barely resembles the Toronado's. Interior: Similar to the Vigro's albeit red. Performance: Very sluggish and heaps of body roll. Quite slow and steers like a Manana but with a slight heavier feel. More for cruising as it's soft suspension suggests. 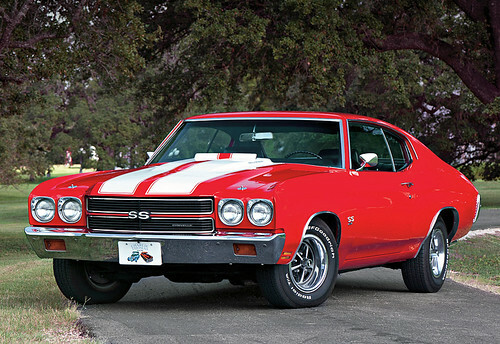 Design: 1971 Chevrolet Chevelle SS/Oldsmobile 442 Cutlass w/ Cutlass style striping[variable in color], a Cutlass front fascia with a Chevelle SS rear fascia and side profile. Interior: Same as the IV Dukes. Performance: Faster than both the Sabre Turbo and Dukes whilst having a raspier exhaust note. 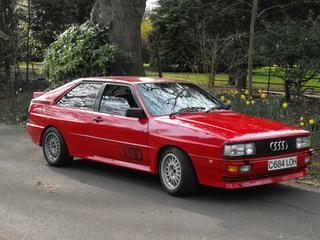 It handles like a Sabre Turbo/Vigero but has as much driftability as a Dukes with heaps of torque. Design: 1st Gen. Taurus SHO/'89 Thunderbird very similar to the IV Fortune but with Ford Taurus SHO bumpers and side skirts. The saloon is based around the IV Fortune but with a Taurus side profile. Variants: Four-door saloon and two-door coupe. Interior: Same as the IV Fortune but with slightly visible red seat inserts. Performance: They both handle similar to the IV Fortune but a with a little more steering feel. Both a a little quicker than the IV Fortune but have the same suspensions. The exhaust sounds more like the IV Uranus. 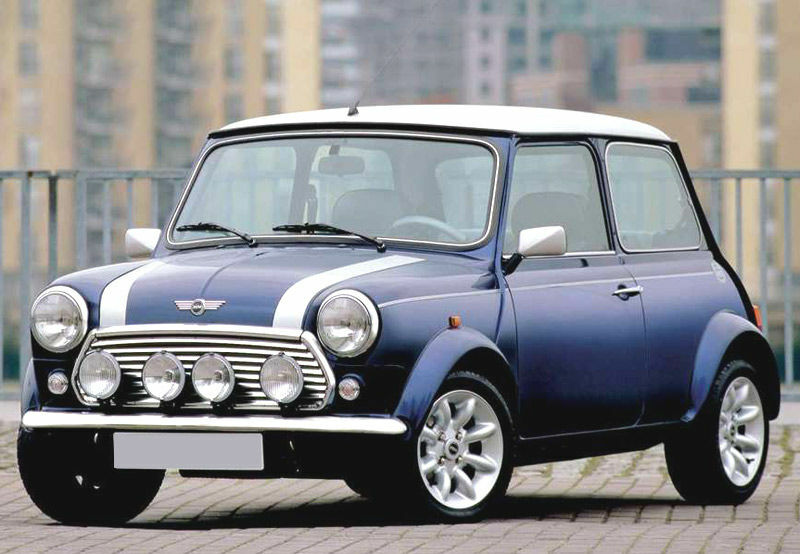 Design: Similar to the V Issi but is a full hatchback, has more circular headlights with xenons, and has sportier bumpers, sideskirts, an airscoop, and a red roof. 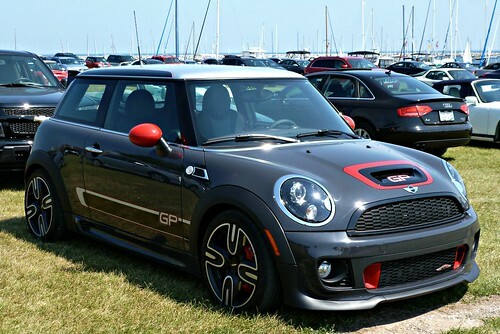 Similar to the Mini John Cooper Works GP. Interior: Same as the Club. Performance: Nothing like the V Issi. More like the Club I described on Page 1 but not as fast, but more nimble. 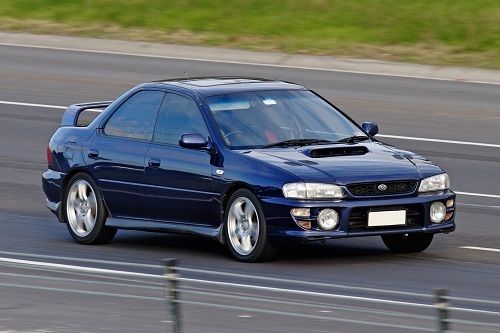 Design: '92 Subaru Impreza WRX Sti with a lot of resemblance to the San Andreas Sultan. Interior: Same as the IV Sultan. Performance: Comparable to the IV Sultan but lighter and a tiny bit more nimble. 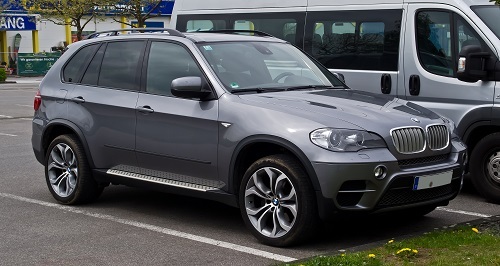 Design: BMW X5 xDrive E70 with xenons and LED's. The rear fascia resembles an X1 whilst everything else resembles an X5 and parts of a IV Rebla. Interior: Same as the concept Sentinel from my earlier post. Performance: Handles like a sportier Rebla with slightly better off-roading capabilities. The steering still remains numb and only slightly sportier than the Rebla. Design: BMW M5 E39/BMW M3 E46. It looks similar to a IV Sentinel albeit wider, with bi-xenon headlights, a more refined rear fascia, a chrome grill, and an E39 side profile. The exhausts are also quad. The sunroof can come either covered or uncovered. Interior: Same as the IV Sentinel but with tan seats. Performance: Comparable to the IV Sentinel, but faster, a little more nimble yet with more body roll, and with ABS. 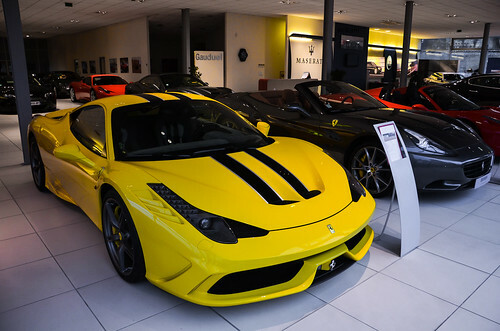 Design: Ferrari 458 Speciale/Ferrari California T w/ California T headlamps, Challenge Stradale-esque striping, a 458 Special side profile, and a 458 Italia/360 Modena rear fascia. Carbon fiber door sills included. Interior: Similar to the Grande XI's but tan. Performance: Basically a faster, louder IV Turismo with better driftability and slip control. Corners smoother and even more precisely. Design: based on BMW X6 with front fascia taken from V Sentinel/Zion with very small changes. Rearlights are taken from Sentinel. Interior: luxury light beige interior with alder components. Cockpit is strongly based on X6's cockpit. Performance: average handling. Minimal slower than Baller II. Good to off-road driving. 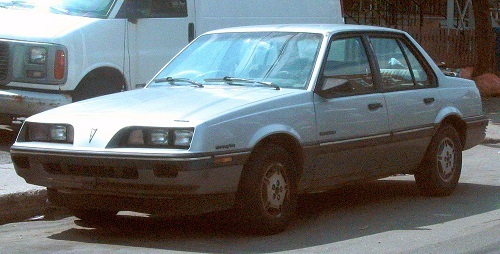 Design: '88 Pontiac Sunbird with front fascia taken from Phoenix with different front bumper. Interior: this same like Willard, but with different steering wheel and seats. Performance: low top speed and acceleration. Good handling. 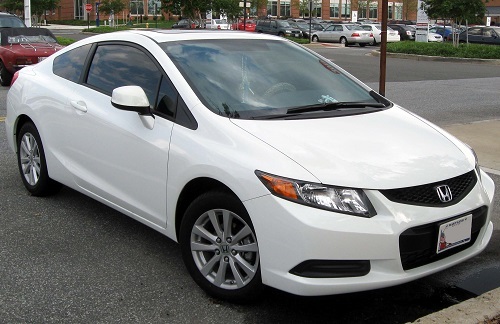 Design: 2011 Honda Civic Coupe with rear taken from 2010 Kia Forte Koup. Grill is this same like normal Blista. Interior: new interior based on this from 9th generation of Honda Civic. Performance: similar to Penumbra, but slightly slower. Design: Audi TT-RS/Audi S3 w/ a IV Futo sized body, daytime running lights, a spouker, and various matte aluminium pieces. Comes w/ a matte aluminium retractable spoiler. Interior: Same as the concept Sentinel XS from earlier posts. Performance: Similar to a IV Futo but a little less prone to drifts and more grippy. Also a lot quicker and sounds like the 5F. 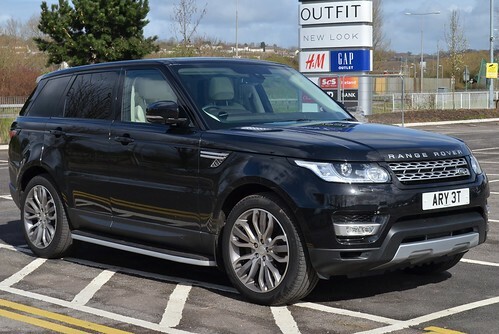 Design: Range Rover Sport 2014, much more so than the Baller v2 [which resembles an Evoque more than a Range Rover Sport]. Comes with a different coated roof, grey open spoke rims, and a body similar to the Baller v2. *Take note that this replaces it* Daytime running strips included as well as many polished aluminium surfaces like the fenders. Interior: Similar to the Oracle xL but creme with slightly visible aluminium trim and a boxier dashboard based around a Range Rover's. Performance: Handles remarkably similar to a IV Jamaican Huntley Sport but has a lower and throatier exhaust, more accurate steering, and is even quicker. It performs exceptionally well off-road [including rock climbing] with a suspension so capable and flexible, similar to the IV Serrano. Design: Very similar to the Lexus LFA but with a slight Subaru BRZ resemblance. The spoiler pops out when driving fast and there are daytime running lights. Interior: A brand new interior just for this car based around the LFA's. Its partially red. Performance: Handles similar to the concept Turismo from my earlier post, but has a strong and high revving exhaust note. Also is even faster and more accurate to steer albeit more prone to drifts. Design: '13 Lexus RX350 F-Sport based. Sportier looking, more regal, sleeker, and taller than the IV Habanero. Comes with a sunroof and daytime running strips. Interior: Same as the IV Habanero but grey. Performance: Comparable to the concept Huntley Sport but slower, duller sounding, a little less enjoyable to steer, and absolutely horrible at off-roading. Design: '13 Lexus GS350 F-Sport/IS-F w/ an IS front fascia, a GS rear fascia, and a GS side profile with sporty side skirts. Daytime running strips and a sunroof included. Wheels are similar to IS-F wheels. Interior: Same as the Oracle xL but black with slightly visible, lighter wood. Performance: Comparable to a IV Presidente but a little stiffer. Design: Volkswagen Passat CC/Audi A7 w/ an A7 rear fascia, a front fascia similar to the Club, and a side profile similar to the Passat CC with frameless doors. 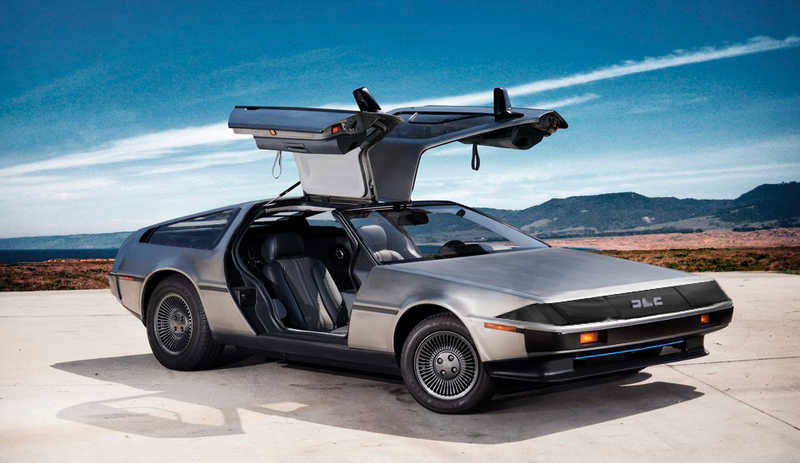 Daytime running lights and a large sunroof included. Interior: Same as the IV Primo. Performance: Similar to the IV Presidente but a little bit slower and stiffer. Design: Volkswagen Corrado/Volkswagen Jetta w/ a slight hatchback and a few IV Russian Ingot resemblances. Comes with Ingot wheels. Interior: Same as IV Ingot but with three gauges on the dashboard. Performance: Handles similar to the IV Ingot but is less stiff and sounds sportier. Steering is somewaht accurate and gives off more feedback than the IV Ingot, but like the Hakumai, it'll screech if you make too sharp turns at high speeds. Design: Jeep Grand Cherokee SRT8/Diesel w/ slight Durango influence and Audi-esque daytime running lights and Oracle II wheels [though unpainted]. 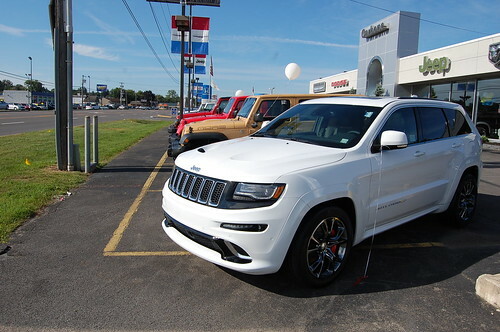 Has SRT8 hood outlets with Diesel bumpers and sideskirts and a '14 Durango rear fascia. Interior: Same as the concept Huntley sport from above but dark brown. Performance: Similar to the concept Huntley Sport and almost as good at off-roading. It's a little slower and duller to drive however and sounds like a Diesel. 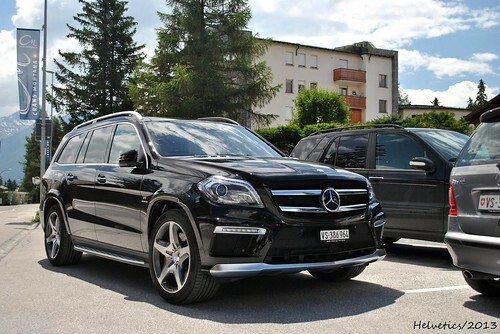 Design: Mercedes GL63 AMG X166/Mercedes ML63 AMG W166 w/ few IV Serrano resemblances and a Serrano front fascia [albeit wider]. The rest of the body resembles more of a GL with various matte aluminium pieces. Interior: Same as the concept Huntley Sport. Performance: Drives like a sportier Rugged that has more torque, steering feedback, and speed. Off-roads almost as good as a Rugged[which is slightly better than a IV Serrano which was very capable]. Sounds much gruntier. 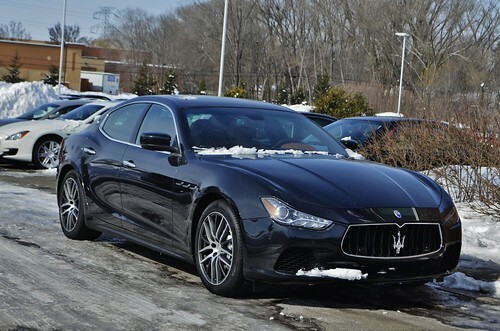 Design: Maserati Ghibli/Maserati Quattroporte Q4. Comes with curvy daytime running lights, frameless doors, and various carbon fiber pieces like the mirrors. Interior: Similar to the Oracle xL but burnt orange with slightly visible wood. Performance: Handling is similar to a faster and more accurate to steer IV Presidente. Comes with a throaty exhaust that at times is hard to hear. Design: A strong mix between the '14 Lamborghini Gallardo LP-560-4/Lamborghini Huracan LP-610-4 with a Gallardo front fascia[but with Huracan headlamps], a Huracan side profile, and a Gallardo rear fascia with a retractable, carbon fiber spoiler and a Squadra Corse-esque rear diffuser. Variants: Two-door coupe and two-door convertible. Interior: Same as the IV Internus but with seat inserts that depend on the color of the exterior. Performance: Very similar to the IV Infernus but with a more light feel, more steering accuracy, and a louder exhaust note. Also is a bit quicker both in a straight line and in the corners. 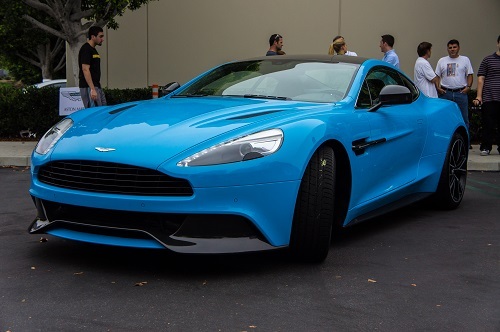 Design: Aston Martin Vanquish with rear fascia based on DBS. 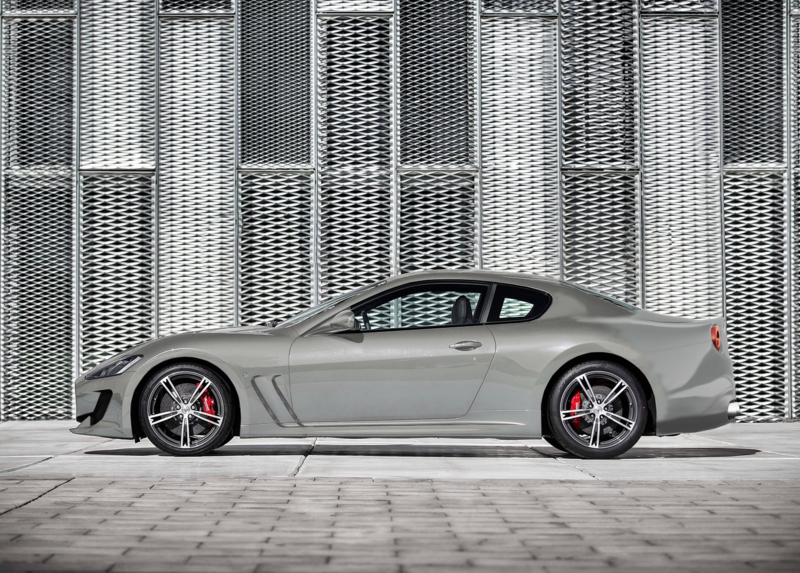 Frontlights comes from Maserati GranTurismo Sport. Exhausts and grill (but in modernized version) are taken from Rapid GT. Interior: Same as Super GT, but seats comes from Khamelion. Performance: similar to Super GT's ones, but Furore GT has better top speed. 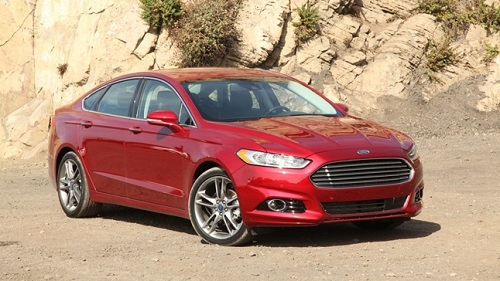 Design: 2013 Ford Fusion (US version) with Jaguar XF's rear. Mundano's grill is increased version of Police Interceptor's one. Frontlights are also taken from Police Interceptor, but without any changes. Interior: taken from Radius, but now is light beige and black. Performance: average top speed and acceleration. Good handling. 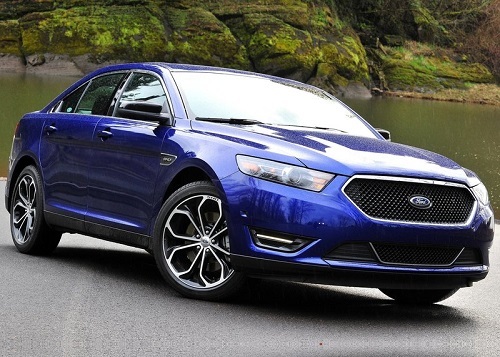 Design: based on current generation of Ford Taurus. This car is civilian version of Police Interceptor. Interior: new interior based on this from real-life Taurus. Performance: similar to Police Interceptor's performance. 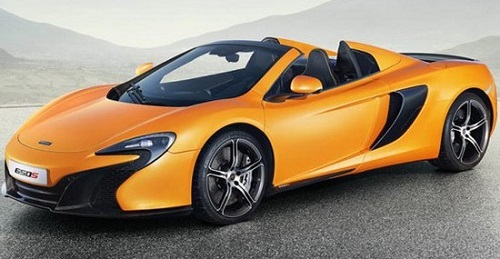 Design: McLaren 650S Spider with rear inspired by Arrinera Hussarya. Frontlights and front bumper comes from Noble M600. Interior: this same like Entity XF, but with 650S-based seats. Performance: very nice top speed and good acceleration. 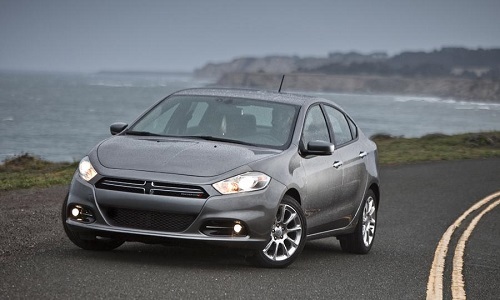 Design: clearly based on 2013 Dodge Dart. Interior: this same like Mundano's. Power: 160 bhp (119 kW). Maximum speed: 134 mph (216 km/h). Sorry for the random question but... the game's universe also implies that cars from the 3 Era aren't exactly the same as those from the HD era, right? I just saw that 80s Corvette and I remember it was called Banshee in VC but now they have their own name for a Corvette, with the Banshee being a Viper. 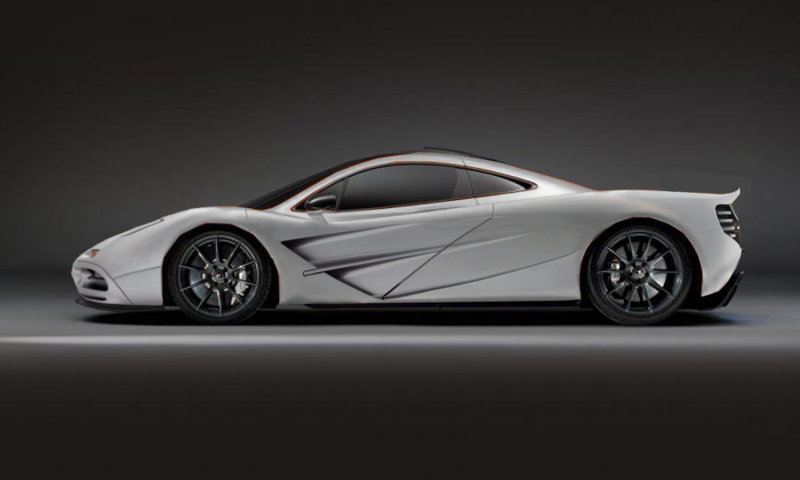 Design: The basic shape comes from a Mclaren P1, the front end and doors come from a slightly modernized Mclaren F1, and the rear is a more aggressive 12C design. Interior: Similar to the Entity. Performance: Acceleration and Speed on par with the Entity and the Adder, but it suffers from high speed understeer. It also ha more stiff suspension than the Entity, so it can be slightly scary over bumps. Performance: weaker and front wheel drive Mustang's brother. More like cool cruising car than a racer, but it can show some claws. Design: Cross between Mazda MX-3 and Nissan 100 NX (front). Black stripe with name added between taillights. Interior: Typical crappy japanese plastic dashboard with black and white digital tacho (as in Nissan 100 NX). Performance: Rather typical for japanese sports car. Imagine something similar to Hakumai or Blista Compact. 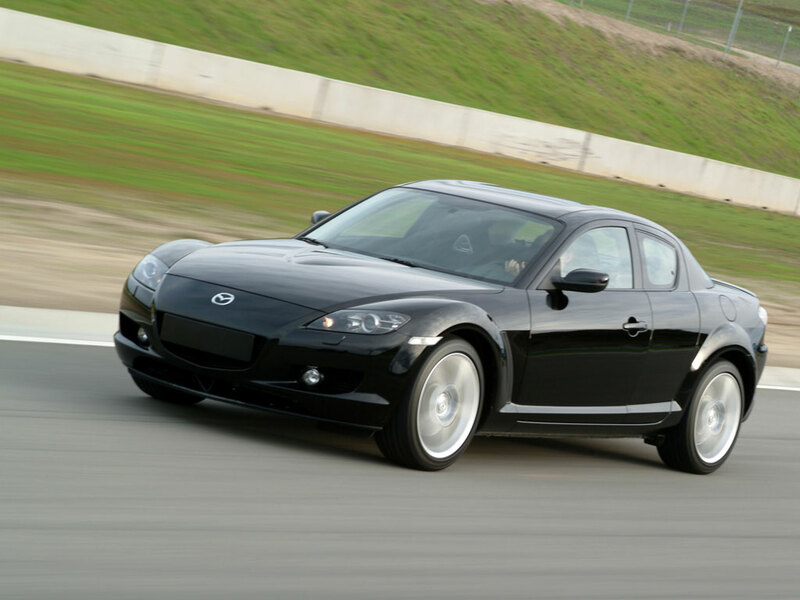 Design: basically slightly altered Mazda RX-8. The rear doors are working in exactly the same way as in original car. Interior: Sporty, good looking one with red stitches on seats and dashboard. Red gauges. Performance: Fast and agile yet still four door car is something you don't see everyday. After modifications can compete with the best of sports.